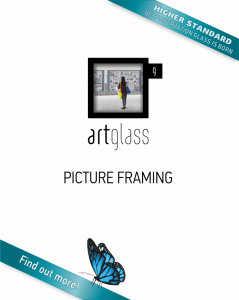 Choose Artglass AR 92™ to achieve an outstanding clarity with its capability to transmit ~98% of light and to gain a conservation grade UV protection* of ~92%. Artglass AR 92™ will make you forget about green tint and optical distortion. Moreover, the anti-reflective coating reduces unwanted reflections to less than 1%, in the meantime it is scratch resistant and very easy to clean. It can be cut and glazed from either side.